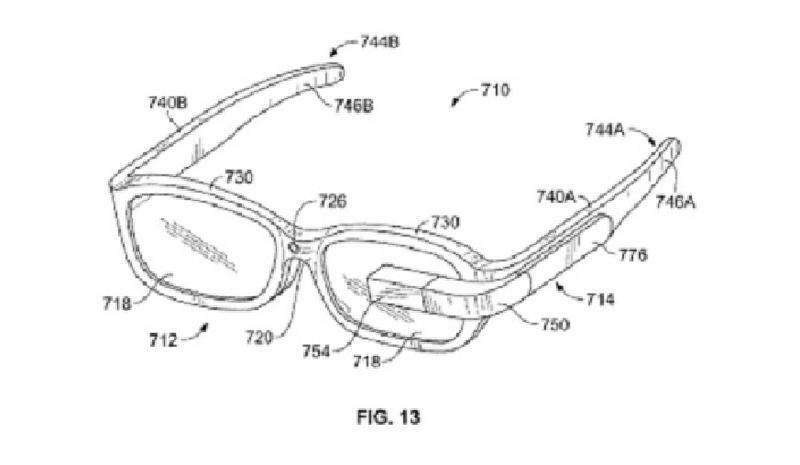 A patent awarded to Google last week suggests the company is working on a prescription version of Google Glass that would feature a specialized set of glasses with an attachable heads up display (HUD) module. The patent, titled "Wearable device assembly with input and output structures," was submitted back in January 2012. Google previously promised that a prescription version of Glass would be an option. At the time we imagined a regular set of glasses with HUD built right in, or a module you could attach to your own glasses, but it looks like the computer display will perch on top of specially-designed glasses using a set of magnets. The patent also details how the product's design will include batteries, and circuitry to control Glass. It will also feature a communication device, likely similar to the microphone and vibrating speaker that the current Google Glass developer kit sports. Prescription Google Glass could be manufactured using a number of materials including aluminum, stainless steel, titanium, nickel and gold, according to the patent, and will come in a a variety of colors and designs. We still don't know when the public release of Google Glass will arrive, though the company has hinted at a mass release by the end of 2013.